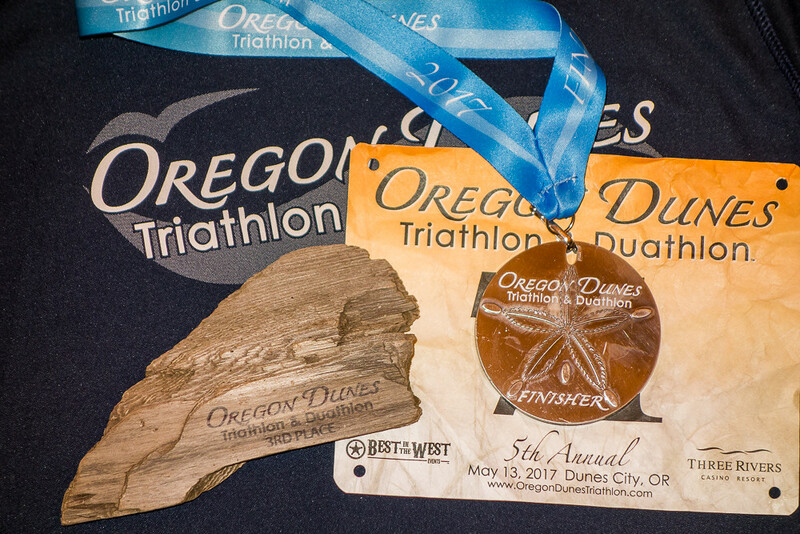 In November I was looking over triathlons for 2017 and the Oregon Dunes Triathlon caught my eye. 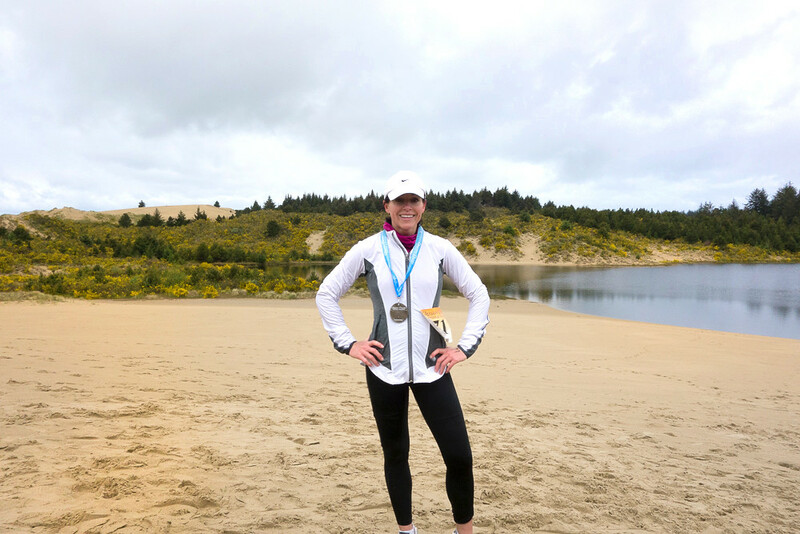 It looked challenging and was held in beautiful Dunes City Oregon at Jessie M. Honeyman Memorial State Park . 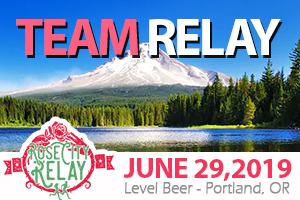 I thought it would be a fun trip for Mother’s Day weekend and was super excited to have the opportunity to compete in this event! I didn’t have time to train as much as I would have liked so I was a little undecided on the distance, Olympic or Sprint. At the last-minute I decided to go all-in and chose the Olympic length. The day before the triathlon, I had friends checking and reporting on the weather in Dunes City. Weather reports listed a high of 55 degrees with a 55% chance for rain. 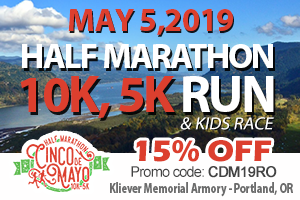 Staci and Blair, the race directors, were keeping an eye on the water temperature and reported on their Facebook page on May 10th that the water was a cool 61 degrees. I planned and packed warm clothing, because I prefer to err on the side of too warm than too cold. I arrived late on Friday evening and stayed at the Driftwood Shores Resort in Florence. It was a beautiful, spacious room, right on the water, with a full kitchen, which I appreciate since I love to cook and eat in. The next morning when I woke and looked outside, I was hopeful the rain would hold out until later in the day. It was raining when I arrived at the boat ramp on Woahink Lake, which made setting up for a quick transition challenging. Once set up, I was most nervous about the cold water swim in Lake Woahink. I warmed up with a short pre swim and decided to use the hot water provided at the start to fill my wet suit. I love that the race directors thought through all the little details. The swim was great, and well-marked so it was easy to stay on course. The water was cold on my face but the swim was beautiful and refreshing. The transition from swim to bike was tough. Pulling on a tight Nike thermal running top and leggings felt like more effort than swimming 1500 meters. There were enclosed changing areas for both men and women, and transition may have been faster had I used it. The bike course was definitely challenging and more so with the cold rain and hail. There were so many hills, but every hill meant a downhill at some point which would have been great if not for the endless rain and hail. At moments I felt like Jim Carey in Dumb and Dumber, completely frozen to the core. However, the uphill portions of the ride were almost enjoyable because that’s when I was able to warm up and start to feel my fingers and toes. There was an aid station, perfectly placed at mile 17 of the Olympic course. The volunteers were wonderful and encouraging. One of my favorite parts of the scenic ride was passing a field of cattle, all lined in a row, just staring at us as we rode by, as if we were crazy, which we may have been. I loved being out there with other triathletes, the ride was challenging but showed not only the physical strength of the athletes, but their mental grit, as well. For the Olympic run, there were aid stations at miles 1.1, 2.2, 2.8, 3.2, 4.3, and 5.4. The volunteers offered Hammer gel, water and Heed sports drinks along with lots of encouragement. 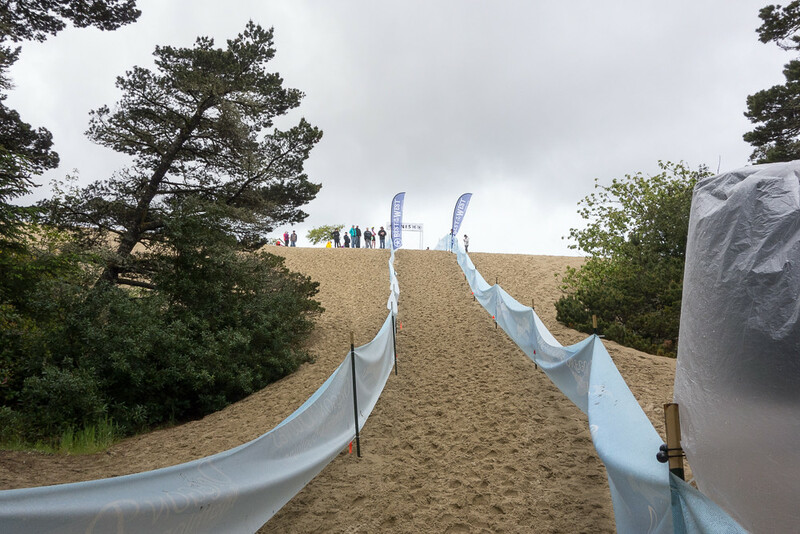 The finish line of the run ended at the top of Honeyman Dune where family and friends waited to greet their loved ones. There were several spectators waiting with dogs, which I loved! We were met with the most beautiful finisher’s medals and back at the expo area there were delicious warm soups provided in generous portions by Homegrown Public House. They offered clam chowder and vegan and gluten-free mulligatawny soup. I tasted both and they were delicious! They also offered oranges, bananas and a selection of fresh breads. 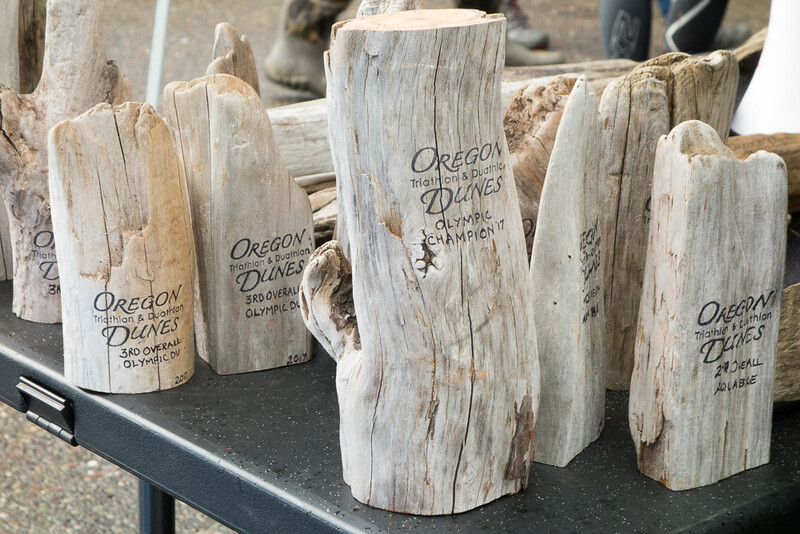 The awards were made by race director Staci, from beautiful and unique pieces of driftwood. They are a beautiful memento from a very fun and memorable event. I love triathlons, each one is a unique and memorable experience and an opportunity to bond with, encourage, support and be inspired by other athletes. Shelly was born and raised in the PNW. 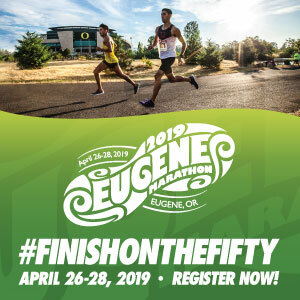 A former swimmer, Shelly started running in 2003 when she moved to Portland Oregon. 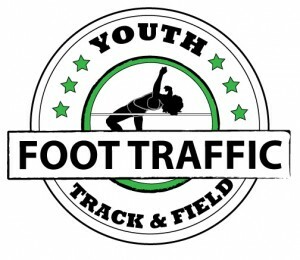 She has run several 5k’s, 10k’s and a few half marathons, but loves triathlons most. Other hobbies include hiking, rock climbing and Pilates. She loves spending time with her family, travel, fitness, health and nutrition and has her degree in nursing. She works as a fitness trainer, wedding and newborn photographer.